Never wake up to a dead phone ever again. Just because something is practical doesn’t mean it can’t be fun, stylish, and attractive as well. Today’s home décor proves this point time and time again, and it can especially be witnessed through these highly-rated lamps available on Amazon. 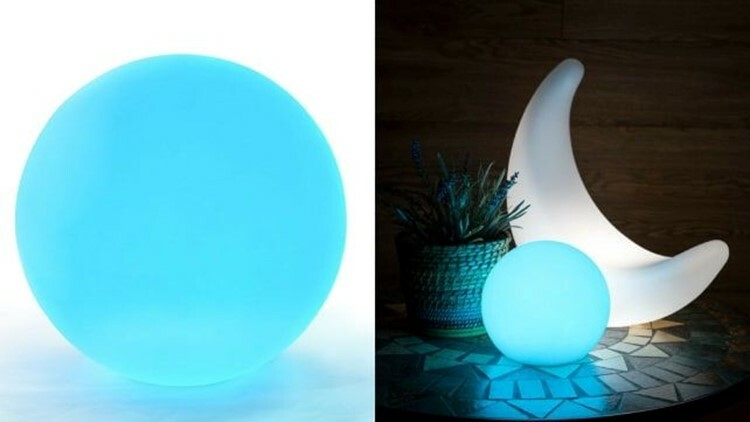 Hundreds of reviewers have shared how these lamps light up their lives, both figuratively and literally. 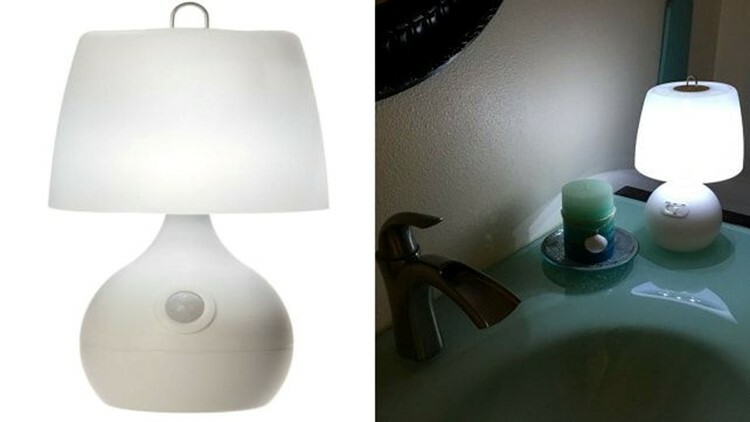 Through sharing photos of how the lamp looks in a room to listing its most useful features, each lamp on this list shines in its own way and you're going to want to bring them into your home too. 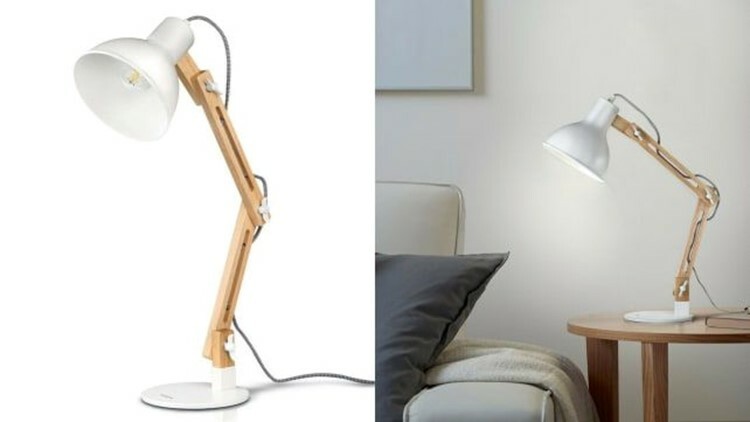 From lighting up your desk to illuminating your living room, these are the most popular lamps on Amazon. 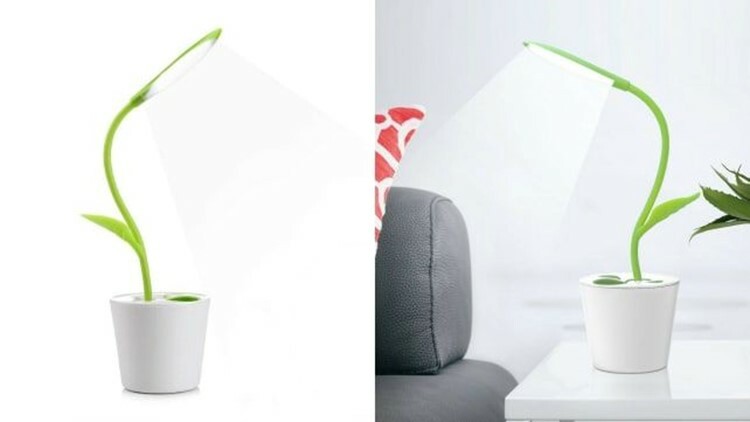 A faux plant that doubles as a lamp. 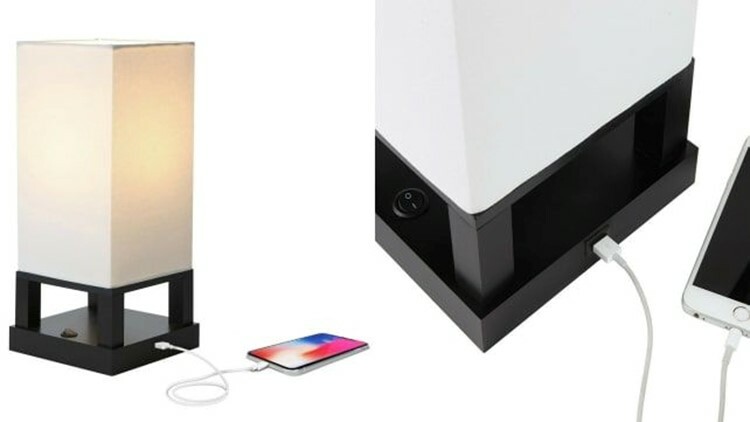 Not only is this lamp adorable—it’s souped-up, too, with a three-level dimmer, touch sensor switch, a rechargeable USB light, and flexibility so you can position it however you like. Reviewers love that the soft light isn't too hard on their eyes. One shared, “I tend to get migraine headaches if I have too much bright light, so I was pleased to find that this item has three settings—bright, medium, and dim.” Not bad for a plant you’ll never need to water. 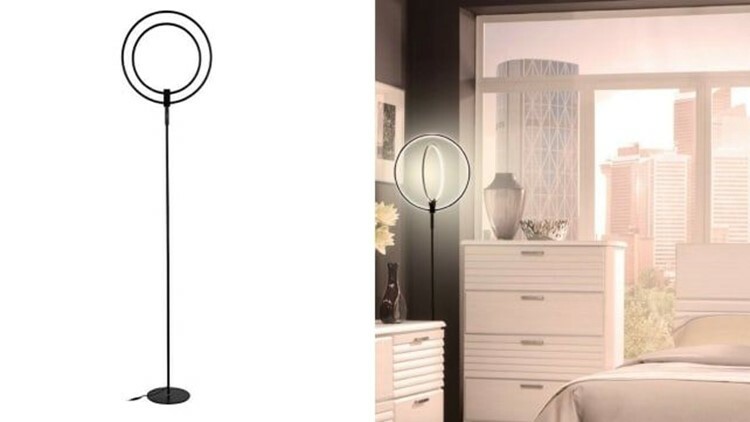 This circular lamp is undoubtedly distinctive. The brand Brightech has a bit of a cult following in the lamp world. Praised for their quality and reasonable prices, this modern lamp is no exception. The innovative, circular design emits an ideal amount of light that's perfect for watching TV, according to reviews. Bonus: it’s sure to be a visually-impressive conversation piece in your home. Five brightness levels and a convenient charging port, too. Sometimes you just need a simple lamp that gets the job done. This one is fit for a desk and features a sleek design, USB charging port, five color temperatures with five brightness levels, and touch control. 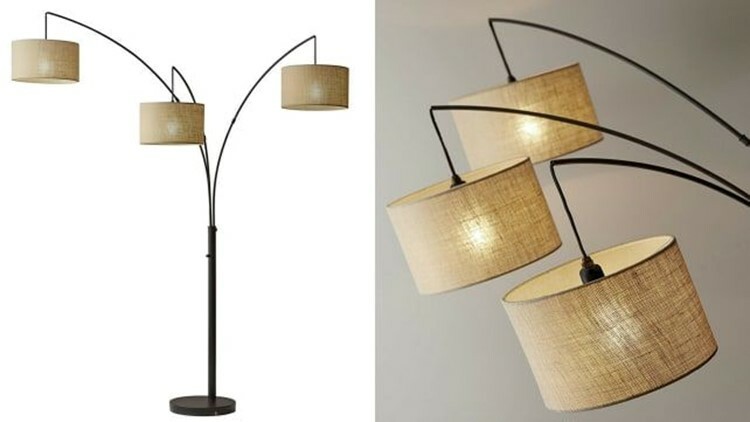 One reviewer said they were inspired to buy this lamp after their electrician specifically recommended it. This lamp brings new meaning to contemporary cool. Brightech is at it again, and this time, they’ve turned out a Midcentury-inspired lamp that adds a futuristic feel to a space. Its quirky design is artsy, gorgeous, and unique, creating a look guests and reviewers love. 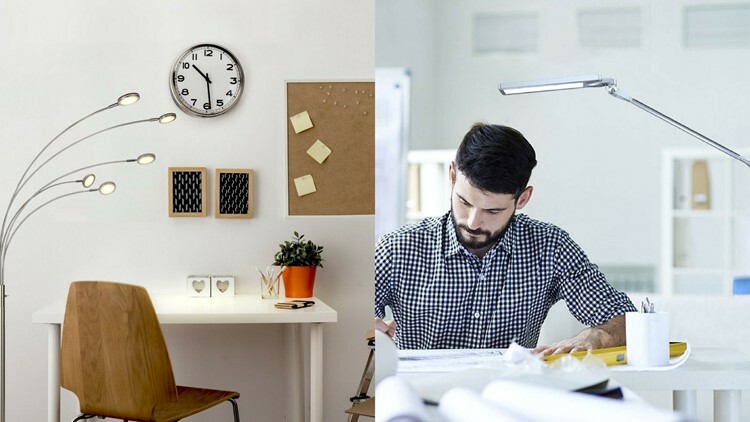 Shed some light on your office tasks. 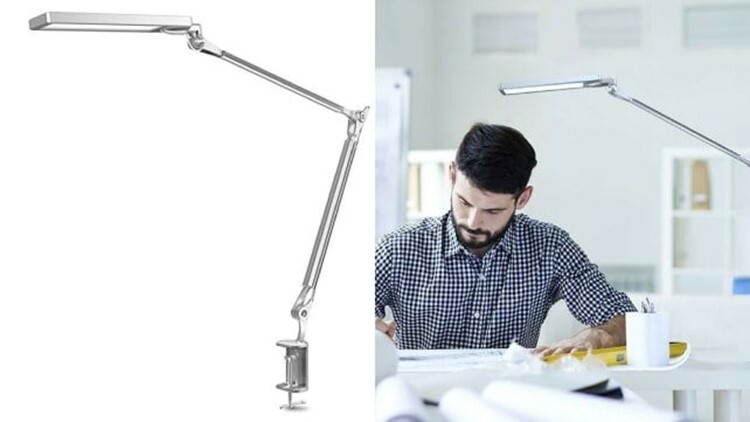 Architects have been using swing arm desk lamps for decades, and for good reason—you can manipulate it and move it around to light up the biggest of blueprints. Even if you aren't an architect, you can still benefit from this slick swing arm lamp, adjustable with a gray metal finish. This lamp is a necessity for a nighttime pool party. Say goodbye to trying to find a light switch in the dark. 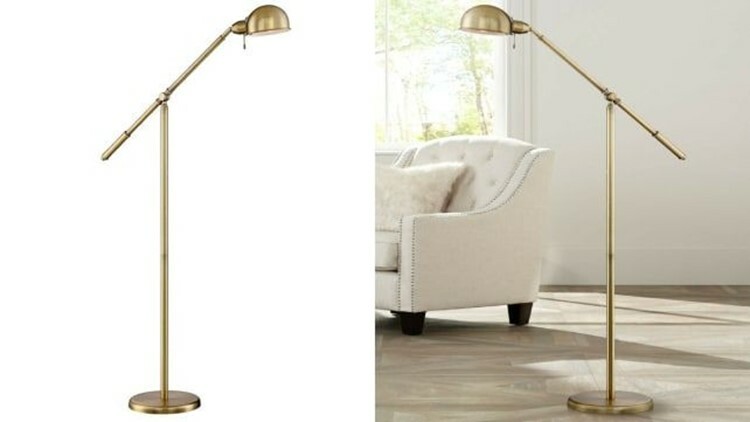 A traditional floor lamp that won’t go out of style. You know that feeling when a room just needs a little something extra, but you can’t put your finger on it? Go for subtlety and bring in a lamp to complete the look—like this brass beauty that’s simply trend-proof with its tried-and-true design. Light wood and a braided cord make this desk lamp look fresh. If you’re on the hunt for a desk lamp that’s more than basic, then you want one with strong details. This one is rendered in white accents, a wood body, and a nylon cable that looks a lot nicer than standard cords. Reviewers agree not only is it well-made and attractive but is also well-thought out and very functional. Three lamps for the price of one. There are times when one light won’t cut it, and that’s definitely the case in a dimly-lit room. 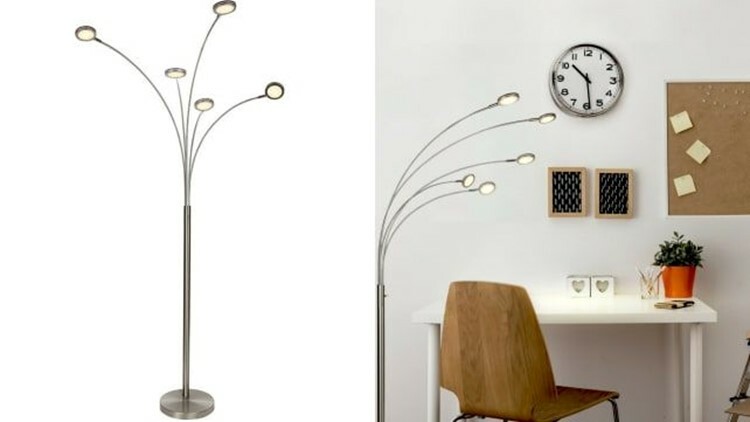 To fill your space with light, look to this floor lamp with not one, but three separate lights, all presented in a visually-pleasing design that gives it a classy and sophisticated vibe. A new take on a nightstand lamp. A lamp doesn’t necessarily need to look average, especially with the inventive designs that are out there today. 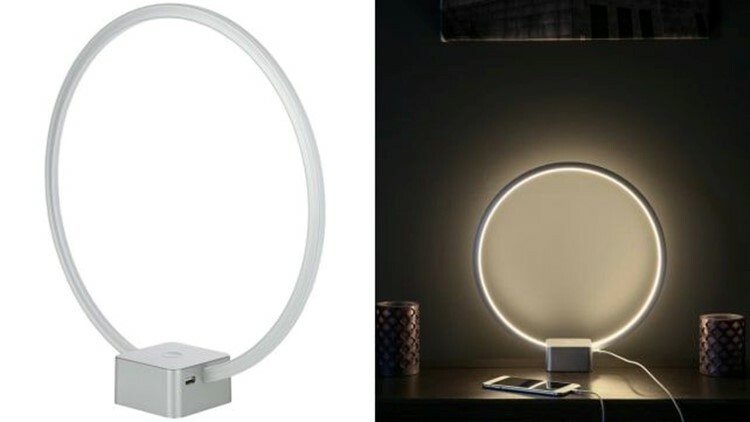 This circular lamp is soothing and has notable features, like a USB port and a 12-watt power-saving integrated LED light, which means you’ll likely never have to replace the bulb. And at $22.99, the price is just right. This cordless, clip-on lamp is oh-so-handy. Bend it, clip it, adjust it—this lamp certainly packs a punch. 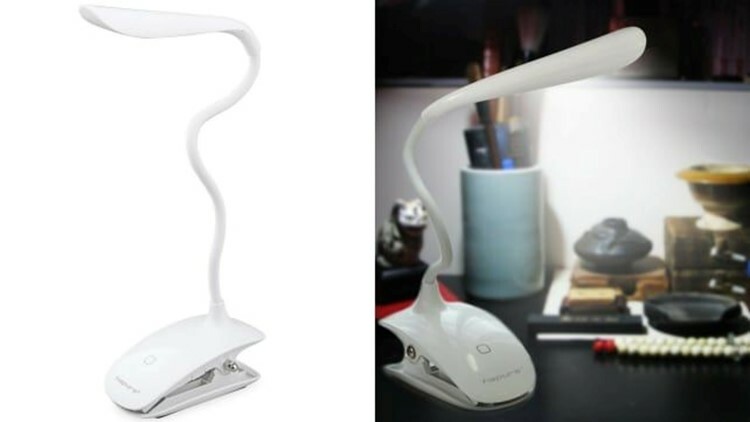 Students rave about this lamp in reviews, applauding it for its ability to be clipped anywhere while they study. 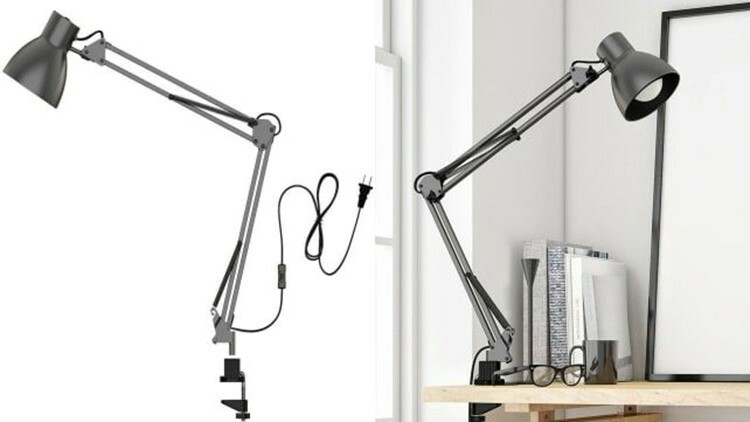 It's completely adjustable with a clip and gooseneck arm, and it has three levels of brightness as well. Even tabletops can use some jewelry, and this sparkler will do the trick. 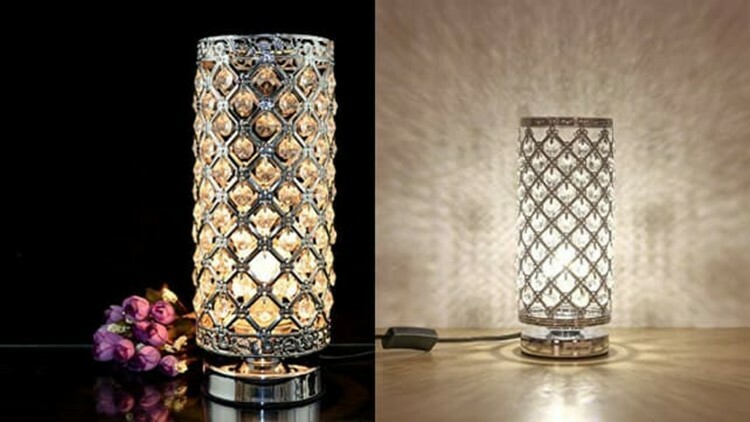 In faux crystals and shining metal, it glimmers and gleams while offering light to any space. One reviewer says her favorite thing about this lamp is the colors reflected in the crystals. If you’re a minimalist, this is the lamp for you. Short on space? 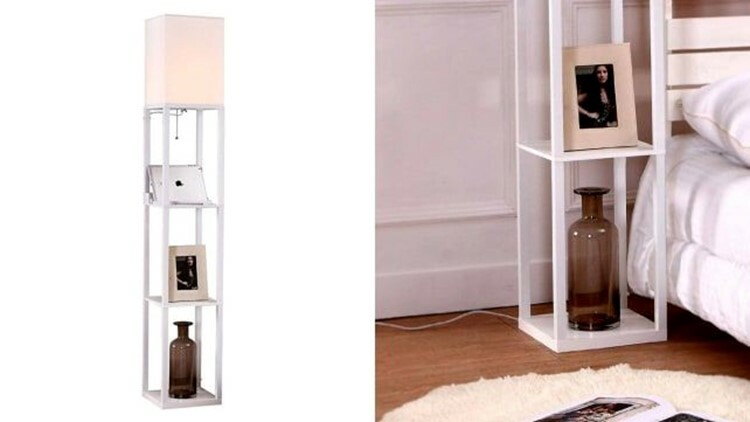 Look no further than this lamp that sits atop a bookshelf, a spot-on addition to an apartment or other diminutive room. At 63 inches, this illuminated bookshelf even has two USB ports so you can create your own charging station. One reviewer believes it’s the perfect place for their Amazon Echo Dot and speakers. Dimmable, swingable, with four lighting modes. 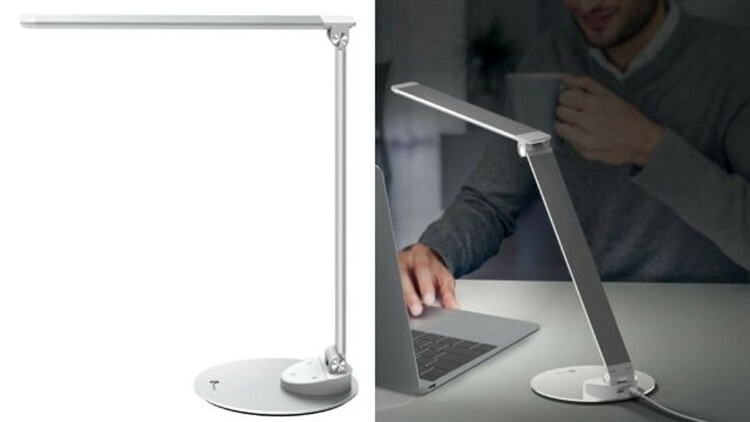 Although this may look like an everyday desk lamp, it actually has tons of cool features—like eye-protection technology provided through a panel that prevents flickering light and glare, touch control, four lighting modes, and a six-level dimmer. This light has been praised for its ability to brighten up small-scale, sensitive projects. One reviewer says it has aided him greatly in his workshop as he completes his projects. A lamp that works with Alexa, Apple HomeKit, and Google Assistant devices. 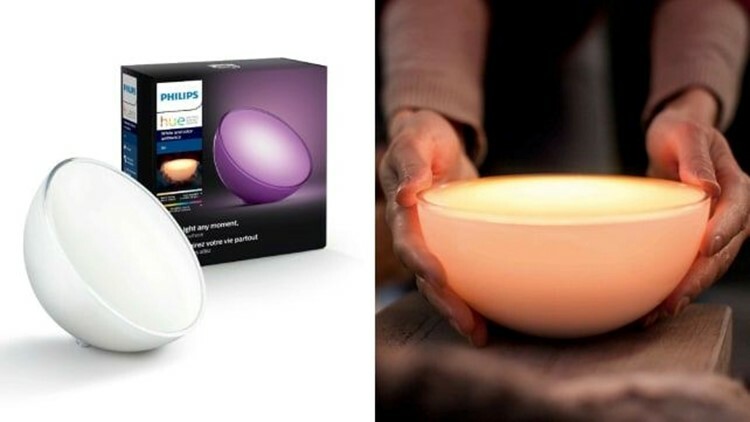 If you find yourself needing more light wherever you go in your home, it’s time to purchase a lamp that’s totally portable, like the Philips Hue Go lamp. It changes colors and it can be controlled with your smart devices, such as Alexa, Apple HomeKit, and Google Assistant. One reviewer loves to place it in her kids’ room, giving them some extra light before they fall asleep. You know the drill. You drift off with your phone sitting on your nightstand, and in the morning, you wake up and the battery is down to 3%. Put an end to this quandary with a lamp that also has a USB-charging port, like this one that’s both chic and helpful. Most reviewers say that they now remember to charge their phones at night thanks to it.